Fedders Corporation is voluntarily recalling about 13,500 window air conditioners with electric heat. If the outside fan blade becomes blocked when operating in the heating mode, this unit could present a fire hazard. Fedders has received 10 reports of fires with these units. There have been no reported injuries and no serious damage has resulted. Major home centers and department stores, including The Home Depot and Wal-Mart, sold the units from January 2003 through February 2004 for about $400. Consumers should turn off and unplug the unit and call Fedders toll-free at (866) 857-8015 between 8:30 a.m. and 5:30 p.m. ET Monday through Friday to arrange for a free, in-home repair. The repair will involve the installation of a heat shield on the unit by an authorized service technician. Tristar Products is recalling newer models of the Steam Buggy Deluxe. Hot water and steam can escape from the steam cleaners handle and inner hose, posing a burn hazard to consumers. The firm has received about 20 reports of hot water and steam escaping from the steam cleaner, including eight reports of scald injuries to the hands and arms. The recalled steam cleaner is blue plastic and measures about 12-inches long and 8-inches high. The 5.5-foot steam hose connects to the water reservoir and is sold with various cleaning attachments. Prior Recall: In March 2002, the Steam Buggy Deluxe was recalled to repair the internal hose connection. This recall only includes the revised design steam buggys, and not the units in the earlier recall. The units were sold by HSN LLP (Home Shopping Network) from June 2002 through September 2002 for about $129. Also, shipped as replacement units to consumers in the earlier recall between April and September 2002. Consumers who experience a burst hose should stop using the steam cleaner and contact Tristar for information on how to return the product for a replacement or refund. 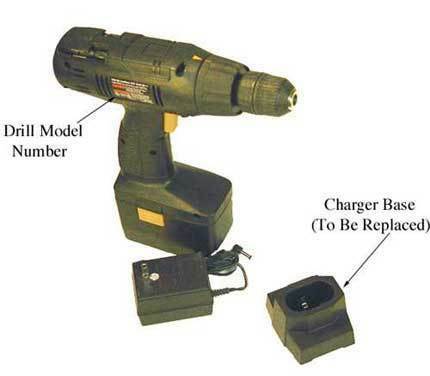 Wagner Spray Tech Corp. is recalling several cordless drill charger bases. A defective battery can cause the charger base to overheat, causing the base to melt and possibly burn nearby objects. Wagner Spray Tech has received 11 reports of the charger base melting, causing minor property damage. No injuries have been reported. This recall includes 9.6-volt, 10.8-volt, 12-volt, 14.4- volt and 18-volt Wagner drill charger bases. The drills were sold in black and grey, and have the name Wagner printed on them. Model numbers involved in the recall are: W96DK, W108DK, W120DK, WB96, WB120, WB144, and WB180K. The model numbers are located on a label on the side of the drill. The drills were sold at department and hardware stores and through mail-order sales from January 1996 through December 2003 from between $40 and $100. Consumers should stop using the charger base and contact Wagner Spray Tech for information on receiving a replacement charger base.